Some writers spend years honing their craft until their work unfolds with the effortless grace of an Olympic figure skater. It’s the kind of ease and proficiency that looks impossible—belying countless hours of rehearsal—and can make an audience gasp. Diane Whitbeck is such a writer. A prolific freelance writer and published author, she has ghostwritten fourteen books in just two and a half years and has also authored six books under her own name. I interviewed Whitbeck about her writing career, and though I had only a short list of questions, she offered me a feature-length odyssey from the world of freelance writing. First, I asked Whitbeck to share her definition of ghostwriting, and she explained that it involves “taking your ego out of it… Although your thoughts and your creativity, and your actual work goes down on the paper, you have to remember it’s not going to be yours—it’s not going to belong to you.” Ghostwriters typically sign a non-disclosure contract and are not entitled to royalties from a published work. Instead, they receive their pay up front and let their clients take full credit for the writing. Whitbeck’s freelance writing, mostly non-fiction work, covers a broad range including persuasive letters, technical manuals, copy for websites, and legal and scientific writing in addition to full-length books. Surprisingly, her latest ghostwriting job was a paranormal romance novel. When I asked why the majority of her work is non-fiction writing, she explained that people “have an idea or they know a topic is popular, but they don’t know how to do the research, they don’t have the patience for the research… and they don’t know how to write.” When Whitbeck mentioned that she had ghostwritten a book about the popular paleo diet, I was itching to ask her which one. 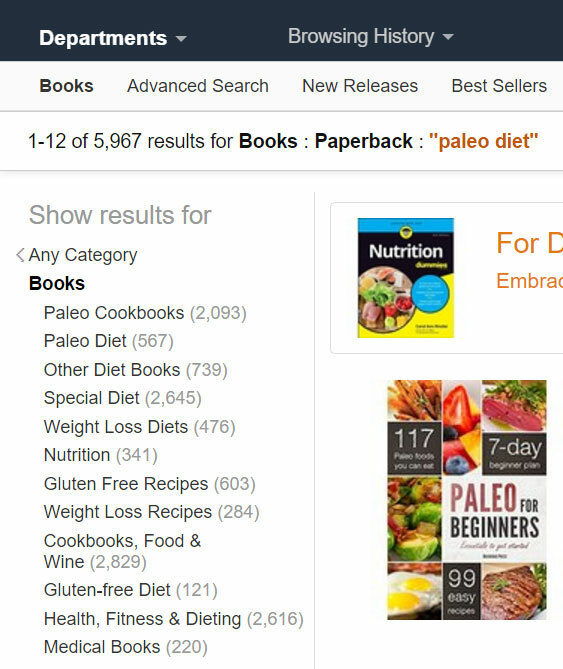 I searched for “paleo diet” on Amazon.com and found a staggering 5,967 paperback books on their website. Stunned, I could only wonder what percentage of those had been ghostwritten. I was also curious about how flexible a freelance writer has to be to satisfy such a broad range of clients, so I asked Whitbeck if she has to create a specific voice or style for each client. She answered simply, “Yes.” then elaborated, “I have my own style—it’s engaging, it’s informal. I like to interact with my audience even in a non-fiction way. With fiction, it’s definitely more stylized because [clients] will tell you ‘I want this kind of tone. I want this sort of approach. I want you to sound like an expert…’ and some of them have no idea how they want it written.” She also adjusts her tone and style to address a particular audience, and though it’s no surprise to hear she’s written at a sixth grade level—a popular, casual style suitable for blogs—I was impressed to learn that her written work has been submitted to the Secretary of Defense and even the President of the United States. If you’ve never freelanced as a writer, then you might wonder how Whitbeck finds her work. And how can she promote herself as a qualified writer if a contract prevents her from mentioning her books by name? Actually, freelance writers have a variety of platforms to find leads for work, and websites like Freelancer, Upwork and Fiverr provide job listings of all types. Professional writers can look at available job opportunities and bid on a listed writing contract. Meanwhile, ghostwriting is a subset of freelance writing, and some jobs can come from word-of-mouth referrals. Whitbeck, an assiduous worker, has built an impressive profile on Upwork.com, and though she can’t mention some of her writing by title, she has an impressive portfolio and offers services like proofreading, editing, and HR management consulting. Upwork utilizes a worker rating system powered by client feedback, so with a solid rating and the ability to turn out a written work quickly, a good writer will attract job offers. Will you get rich quick from freelance writing? Not likely. Whitbeck says the standard rate is roughly a penny a word, but since the publication of her first ghostwritten book, she now earns four or five cents a word on average. Another important skill for a freelance writer is the ability to create a solid contract. “I always insist on having a contract—with every client—and that very carefully spells out the conditions that we’re operating under.” Whitbeck said. She explained the need to define particulars, and her comprehensive contracts cover everything from expected performance and lack of performance to breach of contract and penalties for a breach. That’s good advice for anybody that is freelance writing. Whitbeck added, “You have to protect yourself because you’re in business for yourself…you’re an independent contractor.” In the rare event that a client breaches or fails to pay, her contract ensures ownership of the written work fully returns to her and that she still receives a percentage of her pay based on a daily work rate. Freelance writing and ghostwriting can provide steady income for professional writers, and the volume of contracts available promises a writer that she can occasionally find an enjoyable topic. Sometimes a contract even challenges a writer and leads to an unexpected outcome. On one such occasion, Whitbeck begrudgingly accepted a job for a book about women’s style and fashion. “Look at me.” She muttered during our interview. “I am the least stylish person on the planet.” I asked if all the research into women’s style and grooming had changed her personal habits. “Not a damn bit.” she replied. Still, her client loved the book, and Whitbeck explained, “He said it was the best book he’d ever read. He didn’t change a single word.” That’s a high compliment, and surely that outcome feels rewarding in itself; but Whitbeck also enjoys helping people fulfill their lifelong goals. She added, “I write so much that to me it’s like second nature and… there are people out there that can’t write—and who really need help.” So she continues to write books for those “lifelong dreamers”. Diane Whitbeck spent 25 years as a Logistics Management executive. In conjunction with that career, she has been a Personal Coach, helping clients solve life problems. In her retirement, she has devoted herself to being a freelance writer and published author. She currently has 6 books in the self-development arena on Amazon. She has been the ghostwriter for 14 additional books. 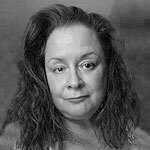 Diane is also a prolific poet, and performs her poetry in clubs and cafés in the Richmond, VA area, sometimes backed by a trio of jazz musicians. feature image by Brittany Stevens. CC license, image cropped, text obscured. Until I met Diane I never realized that Ghostwriters even existed! What a fascinating job! Thank you Spriggan for writing such an interesting article on such a surprising subject! Diane is a versatile, prolific writer. Her writings are always interesting, enlightening and thought provoking. Thank you for focusing on Diane and her wonderful and sometimes obscure talents!